If Caye Caulker in Belize isn’t on your bucket list yet then I’m guessing you just haven’t heard enough about it. With crystal clear waters, the second biggest barrier reef in the world, more water activities than you can poke a stick at—we’re talking kayaking, SUPing, snorkelling, diving, windsurfing, kiteboarding, spearfishing and more—seafood galore and a seemingly never-ending supply of rum punch, it’s no wonder Caye Caulker is a popular destination on the gringo trail. But if you want to take things up a notch and really settle into island life, Raggamuffin Tours’ overnight sailing trip is the only way to do it. The trip kicks off in Caye Caulker and leaves you, three days later, in Dangriga which is an easy spot to continue to your adventures from. After hearing so many glowing reviews, I knew I had to add this little adventure to my trip itinerary and let’s just say I’m glad I did. 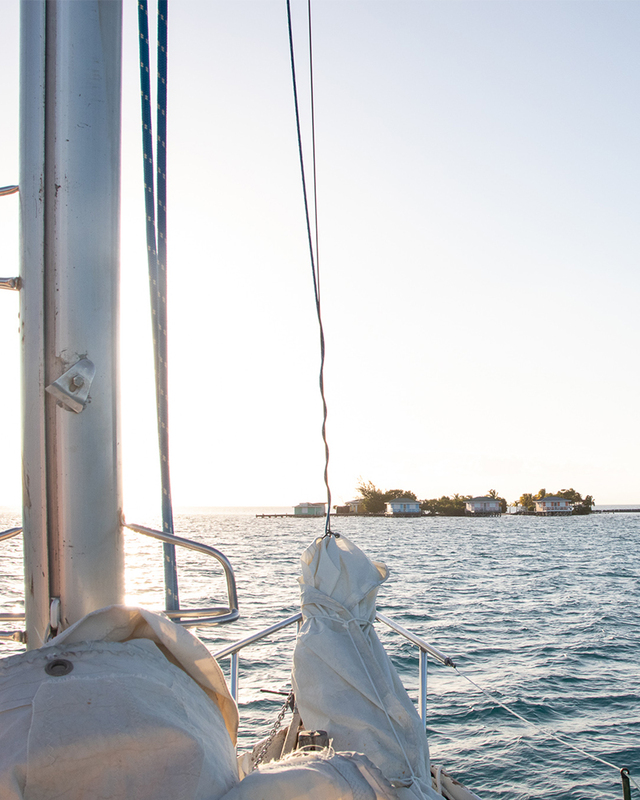 Day one of our trip started nice and early as it was the biggest sailing day, making our way from Caye Caulker down to Rendezvous Caye, a tiny private caye where we spent the night camping. But before that, there was snorkelling to be done, ceviche to be eaten and rum punch to be drunk. Within an hour or two of sailing, we’d already spotted a manatee and a pod of dolphins from the boat, and I knew it was going to be a good trip. Day one included two snorkelling stops, the first at a tiny little sandbar which has to be the tiniest island in the whole world; it’s about 10 metres long. But more impressive than that was the marine life. We swam with a huge variety of tropical fish, amazing coral and a couple of magnificent spotted eagle rays; seeing these guys is enough to take your breath away. The next snorkelling stop was the swim from the boat into Rendezvous Caye, the little caye that honestly took my breath away. With nothing on it except a handful of thatched umbrellas, beach chairs, hammocks, coconut trees and a couple of bathrooms, it is exactly what you imagine paradise might look like; or maybe that was just the unlimited rum punch they were pouring on the boat? Nope, it was definitely the island. We’d been very well fed during the day—a filling lunch, plenty of snacks and fresh shrimp ceviche—but all that had nothing on the massive dinner that Chef Andre whipped up. We’re talking shrimp curry, fresh fish which we’d caught that day, potato bake, pasta salad, vegetables galore and, of course, plenty of rice. Perfect island comfort food. If you think the food sounds impressive, wait until you hear about the bar. We had enough rum to sink a small ship plus a couple of other liquors and all the mixers you could ever need and, here’s the kicker, we got to mix our own drinks. Even so, it was a relatively early night for everyone after a hard day snorkelling. The following day, after one of the most beautiful sunrises I’d ever seen and a huge breakfast of eggs, beans, bread, tropical fruit, granola, yoghurt and much more, we got a little lesson in spearfishing. While I wasn’t quite game enough to give it a go, I’m glad the others did as a few fish were caught and they became our second incredible dinner, along with plenty of conch. After our three snorkelling and spearfishing stops, we headed to Tobacco Caye for a quick visit. 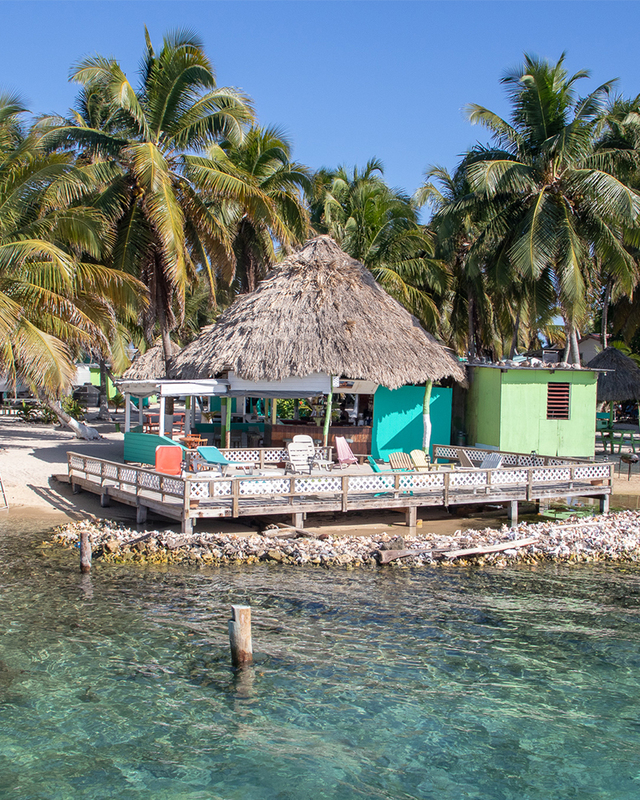 Tobacco Caye is home to about 25 people and six hotels and it is pure magic. There are two bars, one conveniently located right by the jetty so you can grab a beer before exploring the island. We spent an hour here which is more than enough to walk around the island (three or four times) but it’s the kind of place that makes you want to settle down in a hammock and spend three or four days doing absolutely nothing. Night two was spent on Raggamuffin’s own private caye, Ragga Caye. 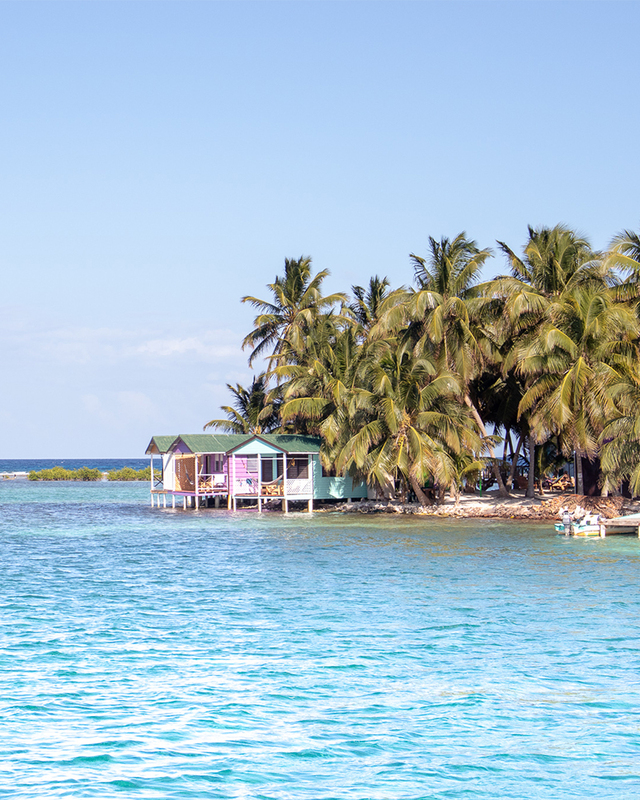 If you thought Rendezvous Caye sounded good, this place is even better. They’ve built three cabanas over the water which you can stay in for an extra USD100 (per couple) for the night and I would 100% recommend it if you feel like splashing out. You’ll have your own balcony over the water with perfect views of the sunrise in the morning. If you’d prefer to camp you can set up a tent, otherwise you can grab a bed in one of the dorms. The kitchen and dining room is also built out over the water, so we all spent a lot of our time here sitting on the balcony spotting tropical fish, eagle rays, southern stingrays, barracuda and even a baby nurse shark. On day three, we set out in search of manatee and had one final snorkel before returning to Ragga Caye to get the water taxi back to the mainland. Let’s just say it was a very sad goodbye. If you’re considering a trip to this part of the world, you’ll definitely want to add the Raggamuffin overnight sailing trip to your itinerary. It costs USD400 per person which includes all your snorkelling gear, accommodation, food, drink and the four amazing crew members who are a wealth of knowledge about everything Belize, snorkelling, spearfishing and more. In the mood to travel? Check out Norway's first underwater restaurant.